DPS interim superintendent Alycia Meriweather announces new programming for the 2016-17 school year. Amidst tremendous uncertainty about its future existence, the Detroit Public Schools is trying to recruit teachers. The district is holding a “DPS Day” recruitment fair for new teachers at Martin Luther King High School on Tuesday. 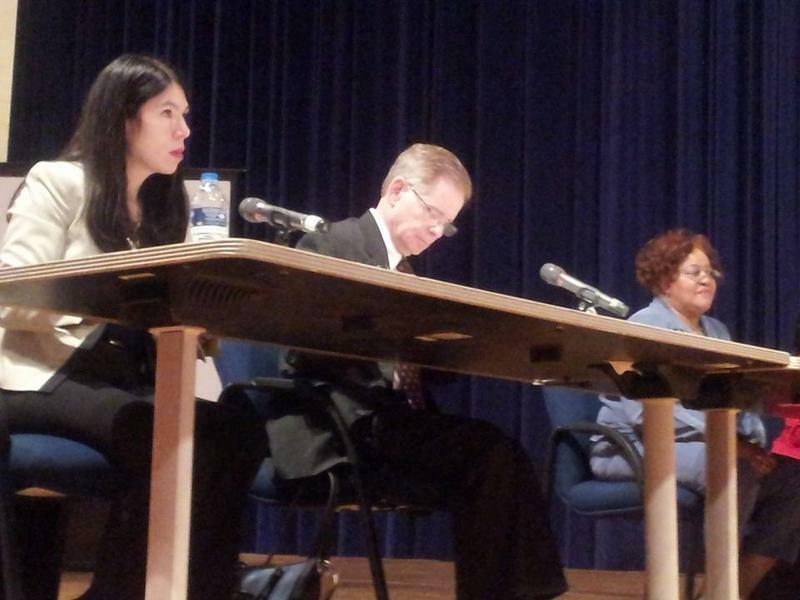 Officials admit that’s a challenging task when the district’s future is so insecure. It’s waiting on state lawmakers to pass a huge aid package before it runs out of money altogether this summer. 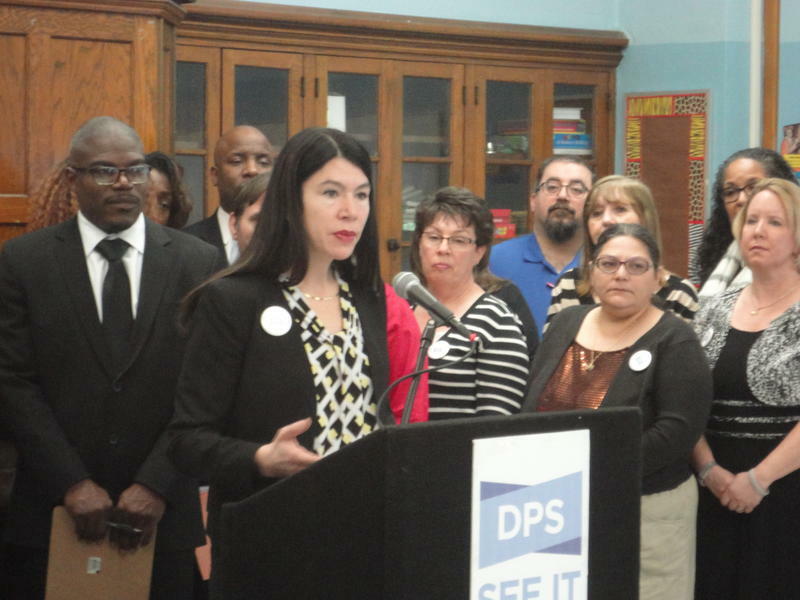 DPS interim superintendent Alycia Meriweather says the sooner Lansing can get that resolved, the better. The district is already struggling with a chronic teacher shortage, with at least 200 positions either going unfilled or filled by long-term subs. Despite the uncertainty, Meriweather says DPS is moving ahead with plans to expand programming, including new foreign language and STEM education offerings. DPS officials say they’re looking to fill up to 350 openings in all areas. However, there is a critical shortage in early childhood education, special education, math, secondary science and world languages. The Detroit Public Schools’ emergency manager, Steven Rhodes, met with the district’s elected board for the first time publicly Wednesday. That board has been virtually powerless since emergency managers started running DPS in 2009. Rhodes largely sat quietly, taking notes, as board members peppered him with questions about how the district got to the verge of bankruptcy. They’re pushing for a forensic audit of the district’s finances, particularly contracting practices, during the past seven years of state control. 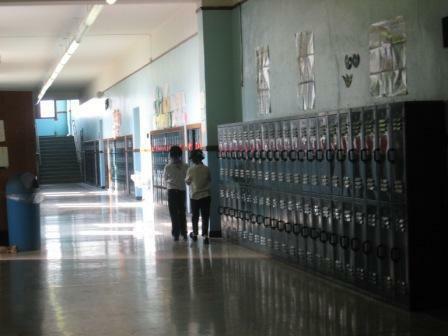 The Detroit Public Schools needs a financial lifeline from Lansing to keep going beyond this school year. But efforts to get that done in the state Legislature have largely been hijacked by big donors with different views on a separate but related issue: oversight of the city’s charter schools. At least, that’s the conclusion of a report from the Michigan Campaign Finance Network. The Detroit Public Schools is planning a dozen “innovative” new school programs for the fall. They include Montessori programs, an Arabic dual language immersion school, expanded Science, Technology, Engineering and Math (STEM) offerings, new programs for English language learners, and more opportunities for outdoor experience and “place-based education,” among other things.